Verticality, architectural and social, is the lofty idea at the heart of Colson Whitehead's first novel that takes place in an unnamed high-rise city that combines 21st-century engineering feats with 19th-century pork-barrel politics. Elevators are the technological expression of the vertical ideal, and Lila Mae Watson, the city's first black female elevator inspector, is its embattled token of upward mobility. into deadly free-fall just hours after Lila Mae has signed off on it, using the controversial "Intuitionist" method of ascertaining elevator safety, both Intuitionists and Empiricists recognize the set-up, but may be willing to let Lila Mae take the fall in an election year. 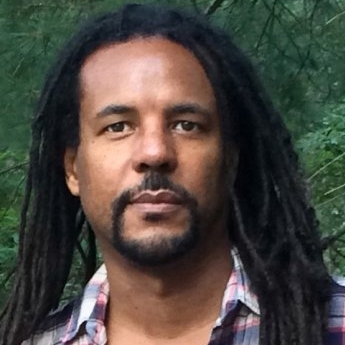 Colson Whitehead is what many scholars would call a modern-day Renaissance man. A 1991 graduate of Harvard University, his failure to be accepted into the creative writing program brings to mind basketball player Michael Jordan's narrative of overlooked talent. Like Jordan, Whitehead would prove his doubters wrong within a decade of leaving Harvard, garnering the MacArthur Foundation "genius" award in September 2002. His first novel, The Intuitionist (1998), a creative detective story framed around the black female protagonist, Lila Mae Watson, won the Whiting Writers' Award in 2000 and the Quality Paperback Book Club's New Voices Award in 1999. Whitehead was also a finalist for an Ernest Hemingway/PEN Award for First Fiction in 1999.Whitehead's popularity stems from his ingenious approach to history, culture, and literature. Born in 1969, this Brooklyn native has written his way into the social consciousness of America's elite literary circle. Critics have located Whitehead's fiction within the tradition of mythical realism, comparing his work with that of such authors as Toni Morrison and Ishmael Reed. Whitehead himself has located his work within the tradition of the black intellectual novel, tracing his literary roots back to such writers as Jean Toomer, whose 1923 narrative Cane was a tour de force during the Harlem Renaissance because of its creative attention to folk culture and history.